Tips for Regrouting Your Tile Flooring – Mees Distributors, Inc.
Tile flooring is a great way to make your home look elegant and classy. However, over time, the grout between the tiles can become dingy and dirty, destroying the look you are trying to convey. 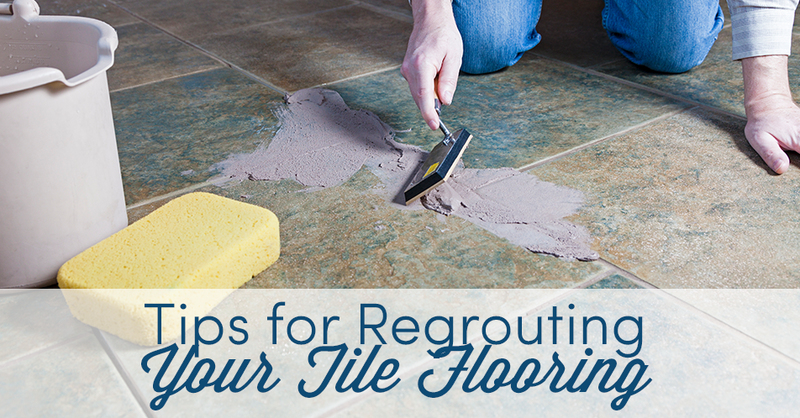 Because of this, it is necessary to regrout your floors from time to time. Here are some of our top tips to help you do it right. Before you begin replacing your grout, you want to have a clean slate to work with, so start by cleaning your grout. After a thorough cleaning, you may find that it doesn’t need to be replaced at all. Use a dedicated grout cleaning solution, or try a DIY blend of hydrogen peroxide and baking soda if you prefer to avoid the use of strong chemicals. Use a grout brush for cleaning to ensure that you get into the tiniest cracks. It is important to match the color of your grout as closely as you can, especially if you are not replacing all of it. Without the right match, it may look as though some areas of your grout are dirty when compared with other areas, even if they are perfectly clean. Take the time to find the right materials for the job so that everything looks as consistent as possible when you are finished. Don’t create more work for yourself than you have to. Aim to replace only the areas of your grout that are cracked or stained. Areas that are still in good condition only need to be cleaned to get them back to looking great. With the right color match, you shouldn’t be able to tell the old grout from the new. When cutting out the old grout, aim to go about half the depth of the floor tiles. Once you have replaced all of the damaged grout, it’s time to seal it. A high-quality sealant will protect your grout and make it easier to clean in the future. It will also help to prevent the grout from getting stained over time. Don’t just seal the fresh grout, though; grout sealant can deteriorate over time, so be sure to seal your existing grout as well to keep all of it in good condition. If you need to replace damaged grout, this is the perfect time to start thinking about redoing your entire floor. New tile can bring new life to your home and give it a fresh look. Here at Mees Distributors, Inc., we have a wide range of ceramic and natural stone tiles for you to choose from in a variety of colors. With so much selection, you are sure to find the perfect tile to complement your existing décor. Need advice on flooring choices? Stop by our showroom and talk to one of our team members today!